©Barry Sandland//TIMB – Punctures are unfriendly to the best rides, but having a few extra souls alongside to help with the repairs always helps. On a cold day, on the ride home, a flat tire is just irritating. ©Barry Sandland/TIMB – Fixing a puncture on the ride home. Always better with a little support. The dread of every commuter is the inevitable puncture. They always strike when you do not want them (when do you ever want a puncture?). And getting caught in the cold makes it all the more difficult. I know these three from sight. They are distinct, with their jackets, jerseys and speed. Every day, they ride through my corners and disappear up the road. Today, their commute sabotaged by a flat tire. But the distance commuters, the faster, more attired riders often see each other on the road, riding the same course at the same time, then form their informal collective that rides to, or from, their destinations. 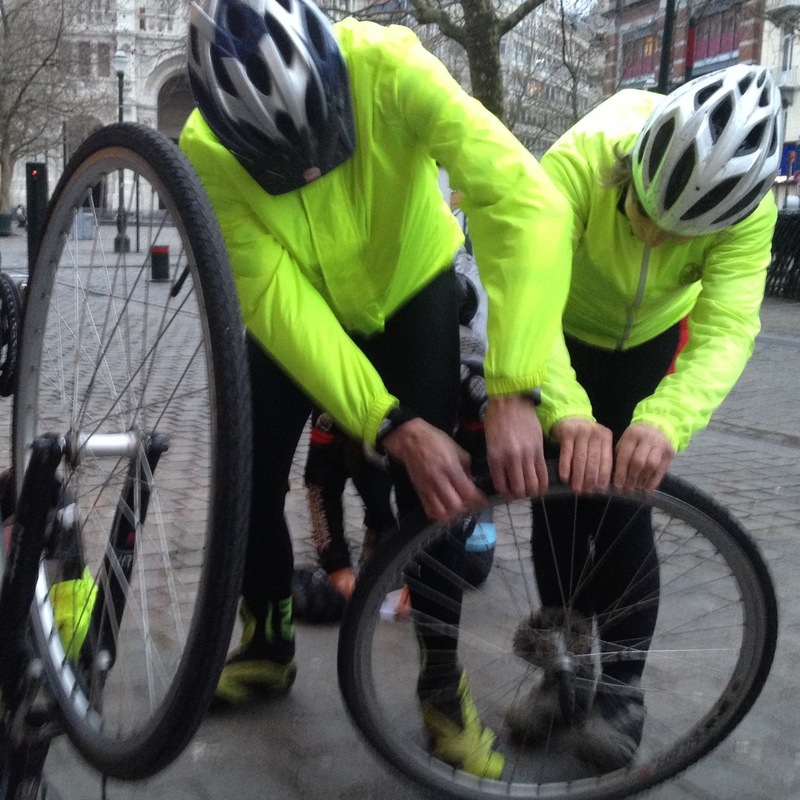 When a puncture comes, there are friends to help with the repairs – and the group stays together, thick or thin, for the ride. Commuting by bike works. For many reasons. This entry was posted in commuter, Europe, group, weather and tagged 2015, January. Bookmark the permalink.